Lung cancer is the leading cause of cancer deaths associated with poor prognosis. Patients with advanced lung cancer had been “uniformly” treated with platinum-based cytotoxic chemotherapy, which had provided an only modest clinical benefit. 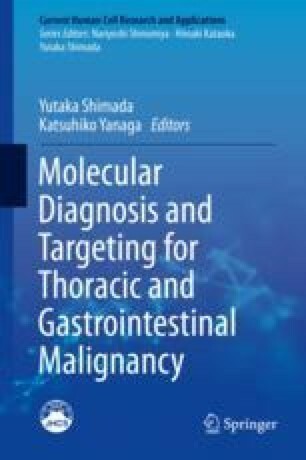 However, recent advances in molecular diagnosis and systemic treatment targeting cancer hallmarks such as angiogenesis, oncogenic gene alteration, and evasion from cancer immunity have dramatically changed treatment strategies associated with a tremendous improvement in outcomes of lung cancer patients. Here, we review current status and future perspectives of molecular diagnosis and personalized “precision” medicine for lung cancer.